The House Project Centre has donated £1,000 towards the running costs of our charity. 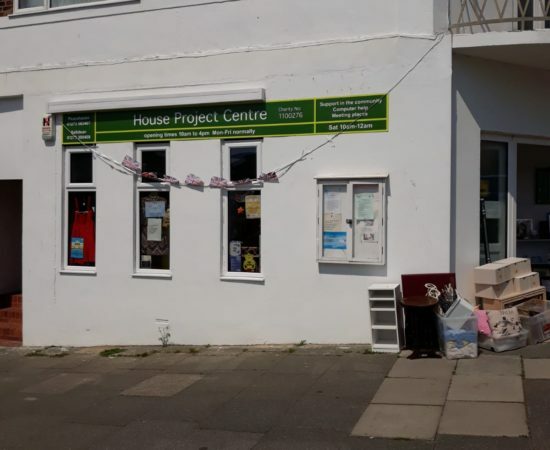 The House Project is a Charity that runs/or funds and sustainable projects that beneficial to the local community from Rottingdean, Saltdean, Telscombe Cliffs, Peacehaven, Newhaven and Denton. The centre was taken over by Joy and Harold De Souza in 2003 and now has two successful Charity shops and a meeting centre. The shops in Saltdean and Peacehaven has a dedicated team of volunteers, headed by volunteer managers. Projects supported by the House Project number 46 at present. There is also a food bank that gives out supplies for the whole area covered. Families and individuals in need are often referred and it is the House Project’s pleasure to give whatever we can from out shops. Many thanks to Karita Griffiths and all at the House Project Centre.